CES is huge. We, at PRIME and French Tech Hub, had been warned, but still were impressed by the number of attendees and exhibitors (more than 150,000), the size of the venues, the logistics, the never-ending side events. There are so many things happening at the same time that it is actually quite difficult to distinguish the relevant signals from the noise. So without drilling down through too much details (something specialized magazines and webzines will do better), here is the main idea that stuck out from this year edition: the world of 2015 will be CONNECTED and OPEN. First, connected. Connected devices were in the hands of all attendees, at each exhibitor’s stand, from the connected home to the connected car to the connected baby monitor. The Internet of Things is definitely a promising territory for both startups and corporations, for consumers and industrial applications. This is why many companies are investing in the IoT, sometimes without a relevant goal. Among the plethora of connected devices showcased at CES were a bedside lamp that you can control with your smartphone and a connected flask. Are these devices really addressing customers’ pain points? I don’t think so, and this is where we are at at CES 2015. A few brilliant connected devices stand next to a load of gadgets. And while the IoT market goes through natural selection, some technologies emerge that will truly enable the Internet of Things. This is the case of high rate chargers, real-time adaptive security or pattern recognition software. But we are still far from the completely integrated smart ecosystem we have been promised for a couple of years. At the moment, we are more going towards individual smart experiences. Second, Open. The Consumer Electronics ecosystem of 2015 will be open. Most speakers at CES were defending open innovation as the only way to build truly relevant and efficient products. From the IoT to the automotive sector, everyone is praising the benefits of collaboration and partnerships. For instance, Scott Burnett, Director at IBM Global Consumer Electronics Industry strategy, emphasized that OS inter-operability was key in the IoT. And, we have never seen so many partnerships (e.g. GE and Quirky, Pandora and Ford) and consortiums (e.g. AllSeen Alliance, Open Interconnect Consortium) emerge to develop new products and protocols. Beyond collaboration, a great number of exhibitors explain their choice of an open source policy to truly foster innovation. This is a positive realization and at PRIME, we would be pleased to see even more open innovation initiatives emerge this year. 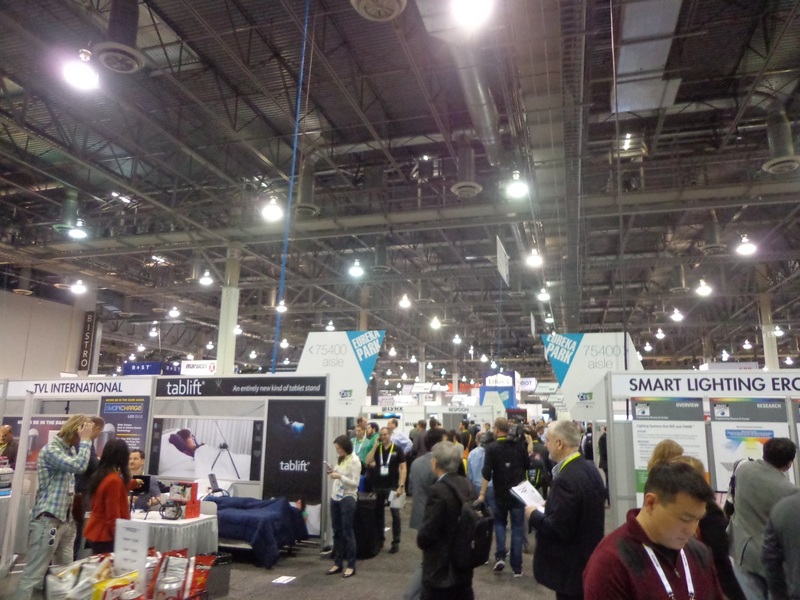 Obviously, a lot of other conclusions can be drawn from this year’s edition, such as the fact that User experience is becoming the number one priority in various sectors from 3D printing to mobile payments, but as said CES is huge and its impact even greater. Tags: 3D printing, Connected devices, internet of things, open innovation. Bookmark the permalink.